Today, we learned that the Liberals will use taxpayer dollars to buy the Trans Mountain pipeline from Kinder Morgan for $4.5 billion. The Liberals will also take over the expansion and core assets – but Justin Trudeau can’t tell us the final cost. He vetoed the approved Northern Gateway pipeline and killed the Energy East pipeline with last minute rule changes and a regulatory standard that doesn’t apply to any other sector of the Canadian economy. 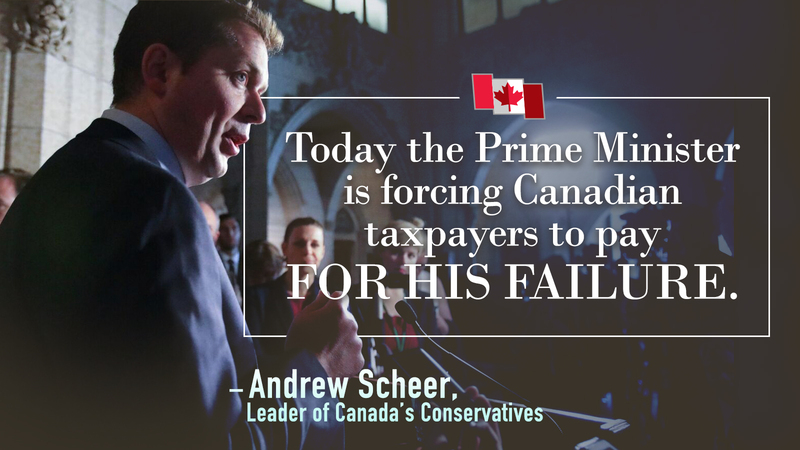 His decisions to impose an oil tanker ban, a job-killing carbon tax and new regulations that penalize Canadian oil exports have damaged investor confidence and forced companies to reconsider future projects.